Perhaps the only thing more fun than finding out you’re pregnant is the pregnancy announcement itself. After all, watching the joy, shock, or surprise on the faces of friends and family is one of the most memorable moments of your pregnancy and in your lifetime. Sometimes doing more than a verbal announcement takes a bit of effort. However, if you come up with a creative pregnancy announcement, it can make sharing the big news quite unforgettable. This strategy is perfect around birthdays and holidays and only takes a little extra work. Once you have your first ultrasound picture place it in a frame and enjoy giving the photo gift. If you want to share the news before getting the ultrasound, simply put your due date on a piece of paper and place it in a frame. Either way, just wrap it up like a normal present and watch the gift receiver smile at the news. Even if this isn’t your first child, you can still have fun with a creative announcement and do so by including your other child(ren). Buy or make a shirt for your older children announcing the good news. Either have the kiddos wear the shirts over to a party, share a photo with friends and family or simply put a picture of them up on social media. Either way, your children will love being able to participate. Have everyone in your family grab their favorite pair of shoes and line them up. 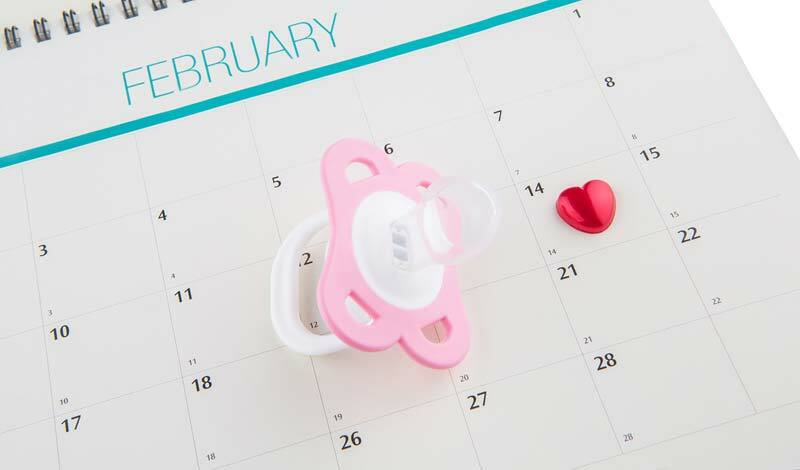 At the end of the lineup, add in a pair of baby booties with a card announcing your due date. Share the photo around on social media, or mail a copy of the photo to family and friends. Set each family member in their own chair. Have a card with the due date on an empty chair at the end, or take it a step further and have an empty highchair at the end. In addition to being a fun way to share the news, this also makes for a fun and unique family photo. Just about everyone has an ornament celebrating baby’s first Christmas. However, this time you’ll be announcing the impending birth. Buy a clear plastic ball ornament. Inside, put pink or blue glitter or generic baby block confetti, a card with your due date and an ultrasound picture. This becomes a fun, personalized announcement and a family heirloom at the same time. If you’re lucky enough to still be in the early stages of your pregnancy during Halloween, announce the big news with your costume. You could go as a pregnant pause by wearing two strips of white tape on your belly, dress up as a skeleton with a baby skeleton on your belly, or go as an oven with a “bun” inside. Looking for a subtle but clever way to share the news? Invite your friends and family over for dinner. Have a menu consisting of baby back ribs, baby carrots, baby peas and other foods with “baby” in it and wait to see as people start to catch on to the trend. However you choose to share the news, be sure to capture some photos of the reveal to share in your baby book.